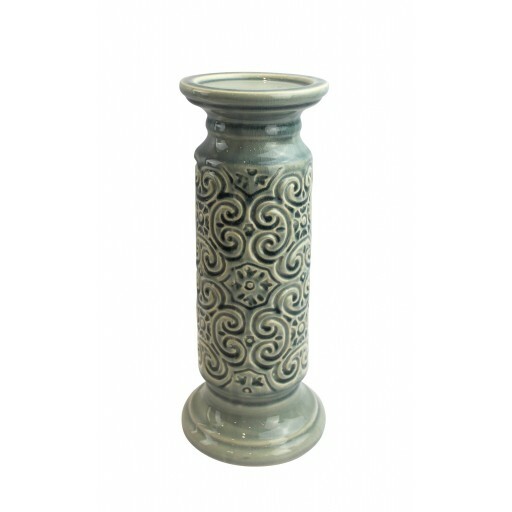 Accent your shelves or tabletops with a touch of antiquity with this set of wood candle holders. 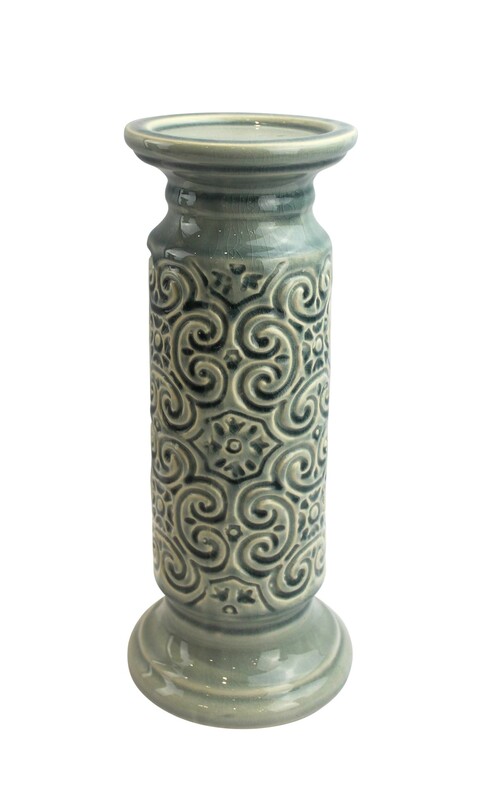 A distressed finish with Scroll shape allows imperfections in the ceramic to show through, so that each piece is unique . The dramatic displays of candlelight make a festive gift or striking addition to your own tabletop, mantle or console.